Summer’s high temperatures influence everything around you, including your car. 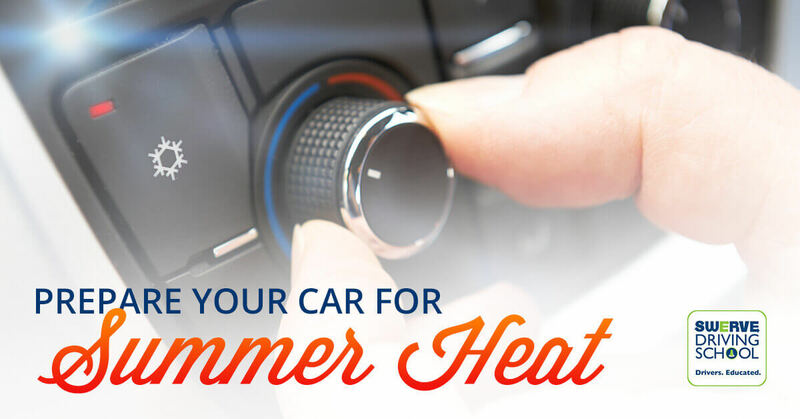 Taking steps to ensure that your car is ready for the heat can go a long way in making sure you have a more comfortable summer. One of the ways to remember to do your recommended car maintenance is to base it on the seasons. Here are some tips to getting your car ready for the summer heat. If you live in a colder climate that gets snow, you most likely did some things to winterize your car. Snow tires are required in many states for driving around, especially if roads aren’t plowed well. During the summer months, these types of tires will slow you down and decrease the efficiency of your vehicle. It’s a good idea to clean the undercarriage of your car too. This helps remove any melting salts or mud that was left from the wetter weather that can damage the metal of your car. Change the oil and oil filter to keep your engine parts running smooth. This can also make sure that you don’t overheat your engine on long car trips to the beach or mountains, especially when the weather is hot outside. Clean off your battery from any corrosion that may have happened from driving in a lot of wet weather. Too much build up, combined with hot outside temperatures, will significantly reduce the life of your battery. Wipe off all surfaces and connections to keep them running well. Change the air filters in your car to make sure they aren’t clogged. Refill the window washing fluid to increase your windshield visibility. Make sure your tires are ready for long drives, with enough tread and air pressure. Check the brakes. If there are any concerning noises or you notice that it takes you longer to brake, get them repaired. Check all the hoses and belts under the hood. These parts help keep the engine cool, but if there are cracks, leaks, or loose connections the radiator can overheat very quickly. Make sure your belts are in good condition too, which helps prevent snapping and causing damage. One thing people forget to check until it is too late is if the air conditioner in the car works. Try turning it on before it is too hot outside. This will give you time to get it fixed or tuned up before you experience high temperatures. The most common cause for air conditioning malfunction in a vehicle is having a low level of refrigerant. Professionals are best at locating and fixing problems, but it usually happens when there is a leak. Consult a trusted mechanic to do an air conditioning tune up to keep you driving comfortably. When you have taken these steps, you can enjoy your summer knowing that you have done everything necessary to make sure your car is running smoothly. With so many fun things to do, no one wants to be stuck having car problems.